What is Accreditation in Thailand? An accredited business is one that has been assessed by an independent third-party organization that measures and rates the regulations, safety guidelines, and practices of a service or business – in this case, medical facilities. Think of accreditation in Thailand as a stamp of approval verifying the authenticity and quality of services. A restaurant in Europe or America can’t open unless it passes certain health inspection codes, and a Pilot can’t begin flying until he or she has passed a series of qualifications. The same is true of medical practitioners and facilities. They must demonstrate to accrediting bodies that they possess the personnel, resources, training, experience, and regulatory understanding to provide quality medical treatment to patients. Accreditation in Thailand helps consumers select a provider medical facility based on maintenance of certain standards, medical ethics and quality. Issues such as evidence-based medicine, quality assurance and the reduction of medical error is a key role of the accreditation in Thailand process in the maintenance of patient safety. Hospitals that lack accreditation in Thailand are hospitals are worth avoiding. That’s why at Liposuction in Thailand, most medical facilities in our approved provider list have been accredited by the Joint Commission International (JCI) or the International Organization for standardization (ISO). JCI Accreditation arguably represents the “gold standard” for international credentialing. 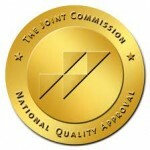 In the United States, the Joint Commission’s standards have been highly influential in defining and establishing what constitutes quality and reputation for medical organizations, and their seal of accreditation is seen as a defining indicator of a well run hospital. The International Organization for Standardization is an international agency with close to one hundred member countries. The ISO 9001:2000 series is a management tool that provides a comprehensive operational framework to achieve control and consistency in all aspects of business, from technical to administrative. 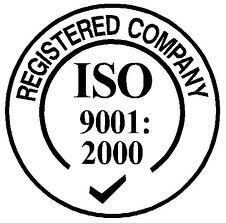 ISO 9001:2000 offers a model for a documented quality system, a foundation for information accuracy, and a building block for continuous improvement. Accredited registration provides evidence of good management practices within the organization, demonstrating quality practices that are markers of institutional consistency and efficiency. Through its internal auditing requirements, ISO 9001:2000 can facilitate an organization’s ongoing compliance to accreditation standards and regulatory requirements. How does ISO apply to healthcare and Accreditation in Thailand? Quality in healthcare is more important today than ever before. Today’s health care consumers are better informed and participate in the care they receive. This has increased the awareness that the quality of service delivered is dependent not only on the hands-on practitioners, but also on every individual within the organization whose activities contribute in some way. The current trend toward public accountability continues to be one of the major factors driving the momentous changes in the health care industry. 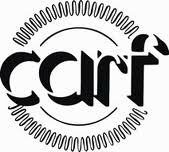 CARF is anindependent, nonprofit organization. That means our focus is on ensuring the services you use meet your needs for quality and the best possible outcomes. CARF reviews and grants accreditation services nationally and internationally on request of a facility or program. Our standards are rigorous, so those services that meet them are among the best available. 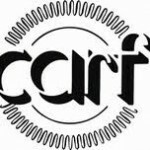 When the service or program you choose is CARF Accreditation in Thailand, it means your provider has passed an in-depth review of its services. It is your assurance that the provider meets rigorous CARF guidelines for service and quality — a qualified endorsement that your provider conforms to nationally and internationally recognized service standards and is focused on delivering the most favorable results for you.